This book is a GREAT read about party throwing and catering ideas from a GREAT lady whom I had the pleasure to meet recently! Sandy now resides locally in Stuart, FL and has written a food book for foodies, which is getting fantastic reviews! Recipe ideas? Fah Get About It! Sandy gets it right! Check out this wonderful book and support local!!!! You can purchase the book through Amazon here! Chef Sandy Axelrod has a Grand Diplome from “le Cordon Bleu” and more than 40 years experience in the kitchen. Sandy and her husband Steve have been living in Florida since 1982. She was owner and Executive Chef of Affairs to Remember Catering for 18 years with events such as the Grand Opening of Saks Fifth Avenue at the Gardens Mall, opening parties at The Mall at Wellington Green, SunFest, opening season at International Polo and assorted private parties throughout South Florida to her credit. Now, in addition to writing a blog about food, restaurants, travel and life experiences at www. foodandfondmemories.com and writing cookbooks she teaches private hands-on cooking classes, does small catered parties, is a free-lance food writer and photographer. Her passion and love of food never wanes. Mama Gizzi DRIVE BY ! Mama is looking for your feedback for a new idea we've come up with. Please leave your comments.... they are appreciated! Mama Gizzi's Gourmet Pasta is rolling out something new beginning next week! 😍 - You call Mama Gizzi's Pasta (561-642-9996) with your DRIVE BY ORDER and pay for your order via credit or debit card over the phone. 😍 - You DRIVE to Mama Gizzi's and HONK YOUR HORN (or call to let Mama you are outside the shop). 😍- Mama or John will run out and give you your food and a hug. You drive away a very happy foodie / motorist! 😍 - No fuss / no muss, the NO DRAMA MAMA DRIVE BY is FLY! This easy to do recipe is the best deal for a quick, less than a minute white sauce that rivals an Alfredo. Add all ingredients into a small pan. Place on medium heat until ingredients are integrated and melt. PLEASE do not bring the liquid to a boil, bring to a simmer only. Viola! DONE!!! There really isn't anything too fancy / dancy about this product, but BOY, is it GOOOOOOD! Roland has made a rich and dreamy balsamic glaze with fig accents, and this balsamic is my 'run to' when I really want to kick it up a notch and give my plate an Eastern Mediterranean flare! Perfect for a Caprese Salad, drizzle some on baked chicken, or soak walnuts, , pine nuts or even pecans in this glaze before lightly roasting them. Heavenly! Swing by Mama Gizzi's to pick some of this glaze up (or better yet, give me a call.... I use this a lot and am known to run out) or you can purchase it online by clicking the Amazon link below. 2nd award winning year on Yelp! This little recipe is great for tortellini or even meat, spinach or butternut squash ravioli (purchased at Mama's, of course). It's rich and filling, but the cream compliments the pasta and meat perfectly. Fill large pot with water, 2/3'ds full. Add salt to water (or garlic salt) and bring to a boil. Add tortellini / ravioli to water and cook until they float to surface. Approximately 4 mins. In saute pan, heat the cream over low heat until warm. Remove and add butter one piece at a time. whisk until butter is melted. Whisk in cheese slowly in order to thicken the sauce. Drain tortellini / ravioli and add pasta to the sauce pan. Toss untill pasta is covered with cream sauce. Plate up and sprinkle pepper and grated cheese on top. 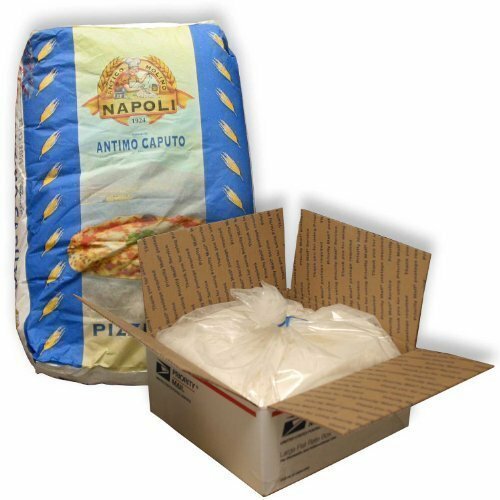 You absolutely NEED to use the finest flour when you are making breads, dough, pasta and more! This imported Italian flour is top notch. If you've had my breads, you know what I'm saying: This is not your average All Purpose Flour. OO grade flour is finer than the finest! Don't be fooled by the label.... this flour isn't only for pizza. If you'd like to pick some up at the shop, Mama has it.... or you can also order it online here. HAPPY BAKING, people!!! Book an evening at Mama's! Want to hold a private party? Mama Gizzi's Gourmet Pasta is the perfect venue for small. private parties for up to twelve people!!! Just for fun! There is NOTHING like fresh basil grown at Mama's on a drizzly, misty morning! 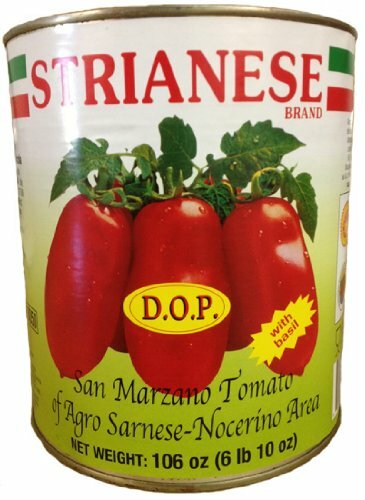 MAMA RECOMMENDS: Strianese San Marzano Tomatoes! Everyone asks me “What makes your gravy so delicious? What are your secrets? ” Well, I am not going to give away all of my secrets, but I will let you in on one thing: A great deal of what makes my gravy sooooo special is the fact that I use Strianese Whole Peeled canned tomatoes imported from Italy! These are the Lamborghini of tomatoes. You can pick a can up at the shop, or order on line! These tomatoes grow in one specific region of Italy, San Marzano. Each can is registered and verified that it comes from San Marzano. The tomatoes are rich and deep in flavor and not too acidic. The interior of the cans are lines in a white coating to retain this top-notched flavor and to avoid any metallic flavor which comes from tin. Talk about special!!! I cannot say enough about these delightful babies. Start here for a five star, home run gravy like mine! If you missed the episode, watch it here! Halloween FUN at Mama's Underground Suppah Club! NOW'S the time to book a HALLOWEEN Themed UNDERGROUND SUPPAH CLUB DINNER at Mama Gizzi's Gourmet Pasta for the month of OCTOBER! We're gonna decorate the shop, get the spooky music going and create some WICKED yummy menu's for you to enjoy! $35.00 per person / tax included / gratuities appreciated. Maximum 12 people per night. OCTOBER 27, 28- 7pm (costume requested)! OCTOBER 29th is already SOLD OUT! Call 561-642-9996 to make your reservations now. RESERVATION ONLY!!! Just received a nice little kudos from Yelp. Mama Gizzi Pasta is one of a handful of businesses that have a 100% 5 star rating on Yelp! Thanks all of you for your support. Meanwhile, mix semolina, cheese, salt and pepper together. Add to beaten eggs and beat more until combined. Add pre-cooked noodles to broth. Gradually add egg mixture, stirring constantly. Continue stirring and allow to simmer for 5 minutes. Take a look at Mama's Vegetable / Pasta dress! Mama G. made a veggie / pasta dress for the Harbourside Place Greenmarket last week and paraded down the runway as "Pasta Primavera"! Go, Mama, GO ! In bowl, mix eggs, milk and all spices together. Whip well. Set aside. Build sandwich (Cheese and meat between slices of bread). Dip sandwich in egg mixture, flip and dip again. Pour any extra egg mixture of top of bread and set aside to allow bread to soak. Bake at 400 degrees for 25 minutes or until liquids absorb, cook and bread becomes fluffy. Sit for 10 minutes. Serve. Great Blog Post on Culinary Tour in CookMixMingle! Mama is included! Wonderful foodie blog based in Boca Raton participated in the Taste History Culinary Tour of West Palm Beach / Lake Worth & Lantana last week! Superb article highlighting the best our great area has to offer!!! Please sign up to the CookMixMingle newsletter! We are pleased to announce that we are carrying a new line of Olive Oils from Crete: Koronekes! This oil is the freshest, tastiest oil produced as it is a "Fleur d'Huile" oil which is the first oil to flow freely from the paste, before pressing. It is quite literally the natural juice of the olives. Stop by the shop and pick up this very fine and refined oil from Greece! Our purveyor is Dominique Bissel of La Belle Buvette! email: dominique@LaBelleBuvette.com / 561-373-8693. Nice write up in Florida Weekly!